A collective of India-based engineers, scientists, and designers known as Graviky Labs have developed a pen that uses ink made out of “recycled air pollution”. They developed a system that is able to capture the particulate matter of car exhaust fumes. It consists of a sensor-activated unit that attaches to the car exhaust. From the fumes that run through it, it manages to capture soot – the 2.5-micrometer black particles composed mainly of carbon – that is produced by incomplete combustion of fossil fuels. This "distilled" soot material is then used to create the ink that goes into their Air-Ink pens. Each pen contains 30 millimeters of ink, which is around 30 to 50 minutes of pollution generated from a car engine. 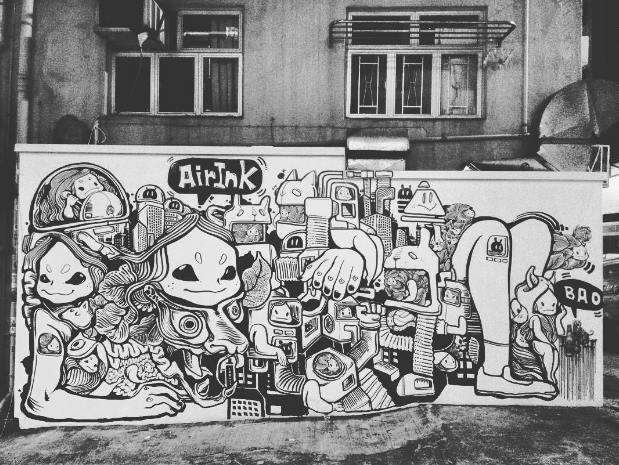 Air-Ink have been collaborating with Tiger Beer to create some pretty amazing murals using the pens, which you can see below. In the meantime, the company are working toward making the pens commercially available in the future. “The pollutants which could have been in the lungs of millions of people are now beautifully resting as art,” the collective explain on their website. Of course, the pens aren’t going to save all the world’s woes when it comes to carbon emissions. However, they do show that there’s no end to the creative ways to tackle this monolithic problem.